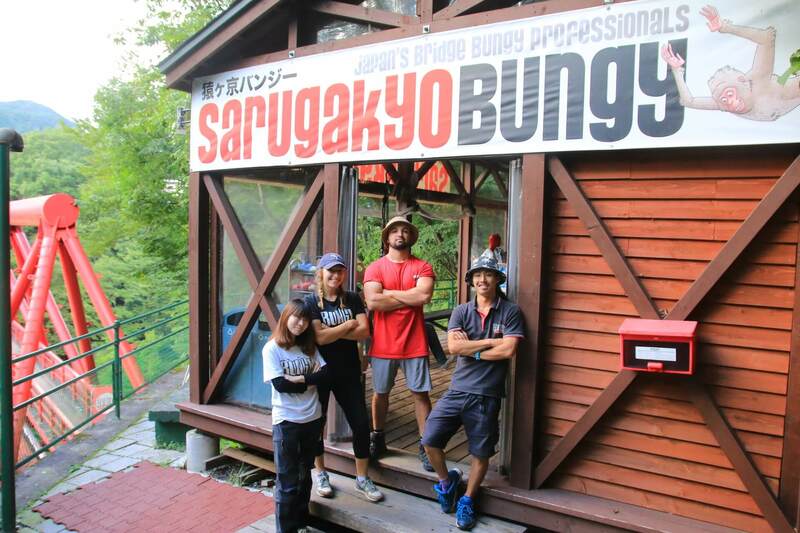 Bungy Japan is one of Japan’s premier adventure tourism companies. We have 10 years of experience in Japan bungy jumping from bridges and towers and are the only company in Japan that offers bridge bungy jumps. We’ve jumped from 9 different bridges and towers around Japan and currently run operations from 7 locations. Bungy Japan is a specialist in infrastructure tourism, using regional and national bridges. 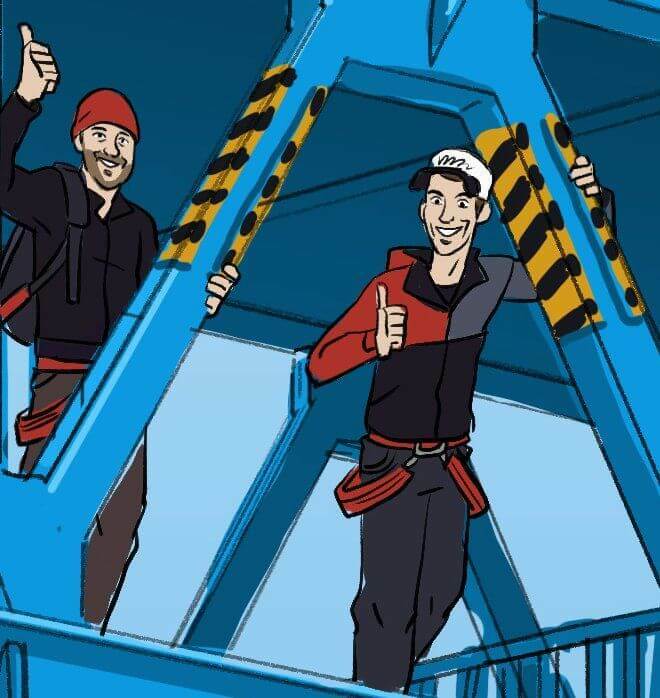 Bungy Japan was established under the parent company Standard Move K.K in 2007 by Beau Retallick and Charles Odlin. Charles was involved in the first bridge bungy jumping in Japan in 1995. Bungy Japan is committed to the philosophy of personal growth via personal challenge, and we strive to provide a positive and rewarding experience in a safe and controlled environment. Bungy jumping is an exciting chance to face your fears, test your will, and realize your own potential, offering an experience that you’ll never forget. We take pride in helping every jumper discover the inner strength to overcome their fears by providing an extreme test of courage in a safe, professional but fun environment. Bungy Japan is well established as Japan’s premier professional bungy jump company. We are the only company in Japan that uses public infrastructure for bungy jumping and we have contracts with towns, cities, government offices around the country. Bungy Japan jumpmasters are trained to an exceptionally high level in safety as well as first aid medical care. Most of our jumpmasters have worked on international bungy sites and Bungy Japan utilizes this experience to continually improve its operations. Since opening Bungy Japan has set up and operated a number of different events including a 30m tower jump in a shopping mall in Tokyo. 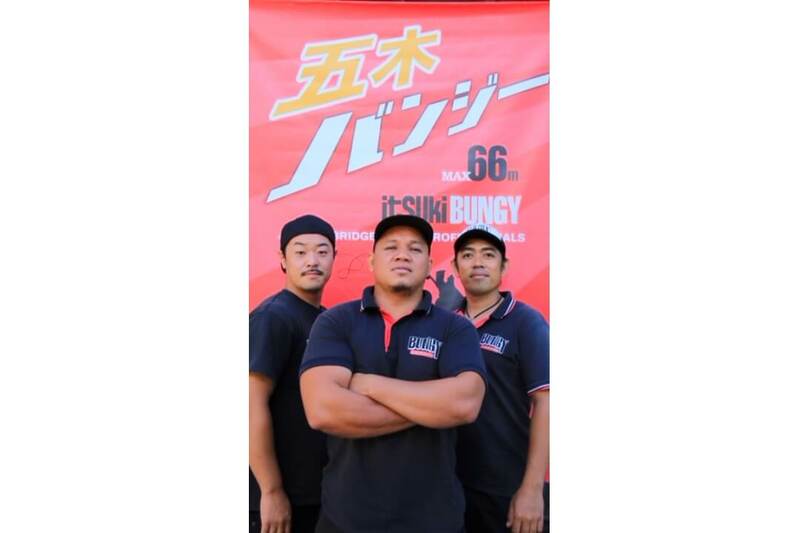 Bungy Japan strives to provide the safest and most exciting bungy jumps in the world and is determined to consistently deliver superior customer service. Established and then sold a successful engineering business in Australia before coming to Japan. Arrived in 1999 and launched headlong into Y2K preparations and IT services for a Japanese insurance company and stayed for 8 years. Chasing a new challenge he combined his engineering experience and business acumen to establish Bungy Japan in 2007. Since arriving on these shores in 1995, Charles has been a leading proponent of personal challenge sports in Japan. Charles is a co-founder of Bungy Japan and, with over 21 years of experience in the industry, has become synonymous with bungy jumping in Japan. Charles is a New Zealander with near native Japanese skills and can sometimes be seen on Japanese television during the bungy season, or triple-checking the ropes while making bad jokes in Japanese. 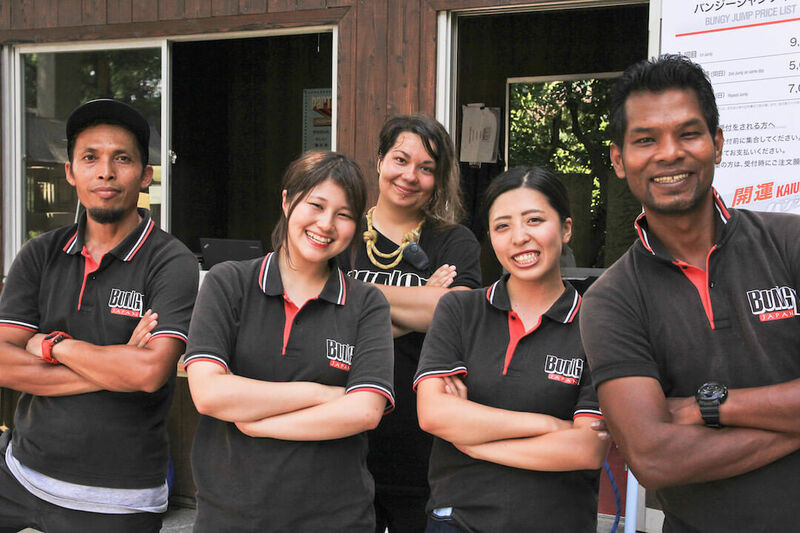 Bungy Japan believes that its greatest strength is its staff. Our staff are here to provide the best all-around experience, which is individually tailored to each jumper in terms of both safety and fun. All staff are trained according to international safety standards, speak both English and Japanese, and are certified nice people. For safety and friendly smiles, at least two experienced, certified jumpmasters is present at every site. Bungy Japan believes that customer safety is without question its number one priority and will at no time compromise safety for profit. Our operating procedure and operating manuals strictly adhere to the International Safety Standards Manual (AS/NZS 5848:2000). 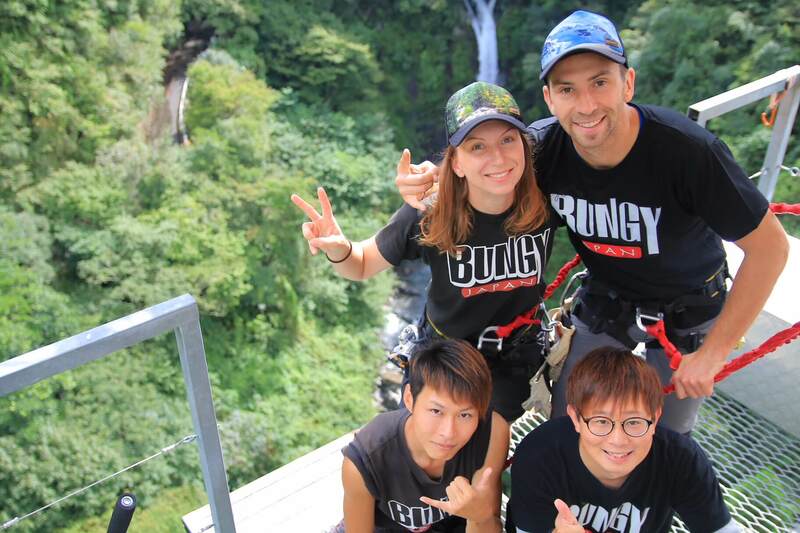 Bungy Japan shares our passion for bungy jumping as a personal challenge by encouraging our customers to overcome their fears in a safe and controlled environment and empowering them with a strong sense of achievement. 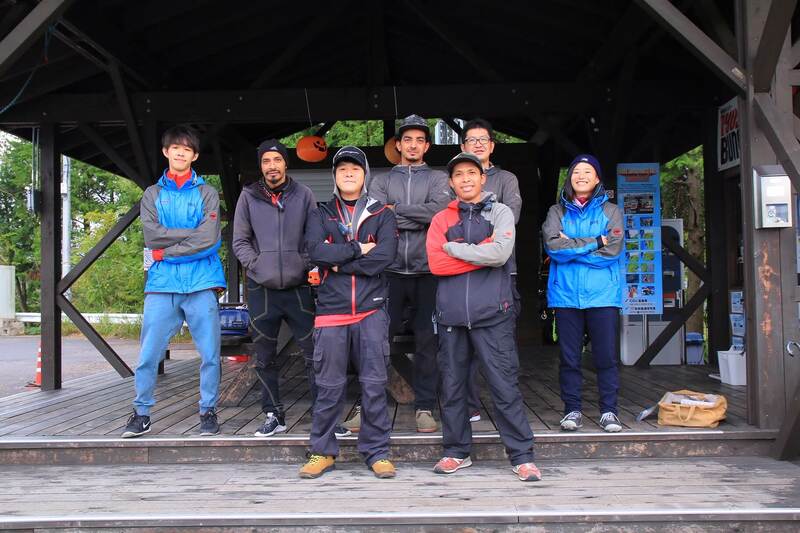 Bungy Japan is committed to adding value to the local areas where we jump and its environment by giving back to the community. We believe that working together with local businesses is essential to developing long-term sustainable tourism which will benefit everyone. We are committed to a long-term view of developing sustainable tourism in Japan. Although bungy jumping is our main focus we are also committed to developing the future of tourism in Japan by re-investing in local area tourism development. Before you jump, you will be weighed and the bungy equipment will be calibrated to take account of your body weight. To ensure each jumper’s safety, we strictly adhere to safety procedures which include double- and triple-checking equipment. Our operating manual follows rigorous guidelines and itemized checks designed to eliminate human error. In addition to our series of safety checks, we only use the best equipment available. Our equipment is checked on a daily basis and all equipment is replaced at the start of each new season. To further guarantee your safety we have at least two trained Jumpmasters present at every site, all of whom have been certified to international safety standards. In addition, locally employed Japanese staff get the best training available from certified Bungy Japan jumpmasters.